Anne Marie and Nathaniel have been best friends since they were kids. Now things are evolving . . . in ways everyone else predicted long ago. But when her mother suddenly decides to remarry in another state, Anne Marie's new chapter with Nathaniel looks doomed to end before it begins. Vanilla crumb pie has been Esther's mem's calling card for decades. But when Esther finally gets her hands on the secret recipe, she discovers that vanilla crumb pie is more than just dessert . . . it's bachelor bait. 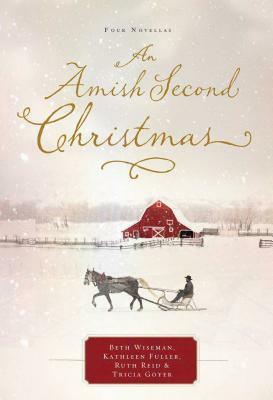 Award-winning, bestselling author Beth Wiseman is best known for her Amish novels, but she has also written several successful contemporary novels, set primarily in her beloved Texas, inlcuding"Need You Now" and "The House that Love Built. "Both have received glowing reviews.Beth's "The Promise"is inspired by a true story. Website: www.bethwiseman.com Twitter: @bethwiseman Facebook: Fans-of-Beth-Wiseman"